Check out the latest single from Ray June. 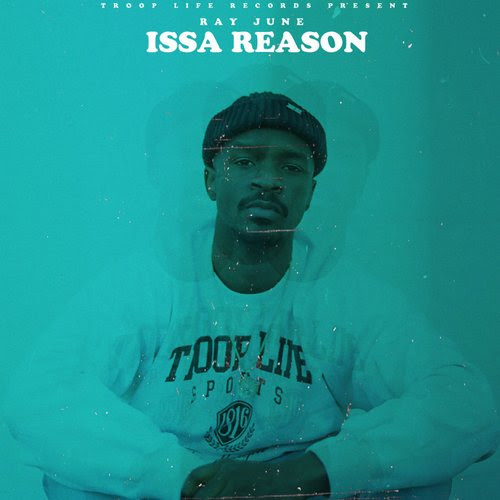 On "Issa Reason" Junes goal is to bring a word of encouragement to individuals experiencing troubled times. He aims to let listeners know that it's not by luck they're still here. Issa Reason. June explains saying, "over the course of my life, a many of my friends and family have lost their lives. Many at a very young age. One of my toughest losses was when my closest cousin had gotten murdered about 4 years ago. We ran so close together that after it had happened, death was on my mind on a daily basis to the point where I felt like... I was next. In today's world I've seen this same type mindset spreading across this generation. Fear of not only death, but life itself. You see my pain brought me closer to the Lord, where I needed to be all along. But I've seen so many choose the wrong route and let themselves fall into depression, or even take their own lives. Every human being on this planet has either been through, or is going through a difficult situation within their life. These are nothing but tests and trials that have come to make us better, stronger, wiser. " Purchase "Issa Reason" via iTunes or Google Play.